(Bloomberg) -- Tesla Inc. followed a disappointing deliveries report by cutting another swath of sales staff across the country, as the electric-car maker continues to pare back personnel and shift its ordering process online. The company dismissed several dozen sales team members on Thursday in Chicago; Brooklyn, New York; and Tampa, Florida; according to people familiar with the matter, who asked not to be named because the details were private. Tesla confirmed the cuts but declined to discuss specifics including the number of personnel affected. The latest round of staff reductions are part of the retail retrenchment Tesla announced in February. Chief Executive Officer Elon Musk has said the decision to close some showrooms and embrace an online-only ordering model is designed to save money as the company ramps up production of cheaper Model 3 sedans and prepares to launch new models including the Model Y crossover next year. The cuts made last week affected teams known internally as “inside sales,” which were tasked with reaching out to potential customers and inviting them to test drive cars, the people said. After the retail strategy revamp, these employees were reassigned to tasks such as taking inbound calls, helping with deliveries and even washing and detailing vehicles, the people said. Tesla still has operations at the three locations, including employees who can field customer questions and support car owners, according to the company. It still has inside sales teams in Fremont, California, and Las Vegas, the people said. One impacted employee in Tampa, who spoke on the condition of anonymity, said that 20 inside sales advisers and two managers were informed around noon Thursday that their positions there were being eliminated. Another employee who worked in Brooklyn said the team there was also informed Thursday. Both said the teams were informed of the terminations via conference call and that it was effective immediately. The dismissals are just the latest shakeup at Tesla as part of a zigzagging approach to its retailing strategy that has rattled investors and stoked confusion. Ten days after signaling an almost complete withdrawal from physical stores, the company backtracked and said more locations would stay open than planned, though some would continue to be evaluated. 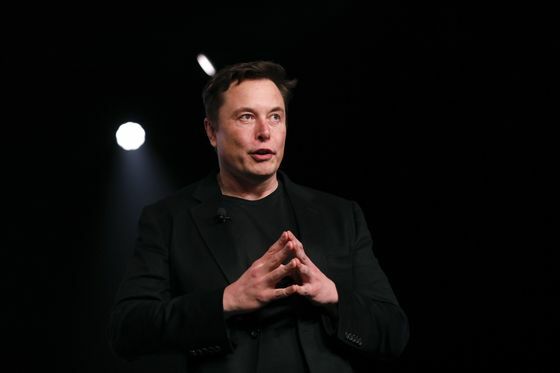 Musk, 47, wrote to employees in February that Tesla would evaluate all areas of its sales and marketing organization in the following weeks, with some being cut and other employees transitioning to different parts of the company.